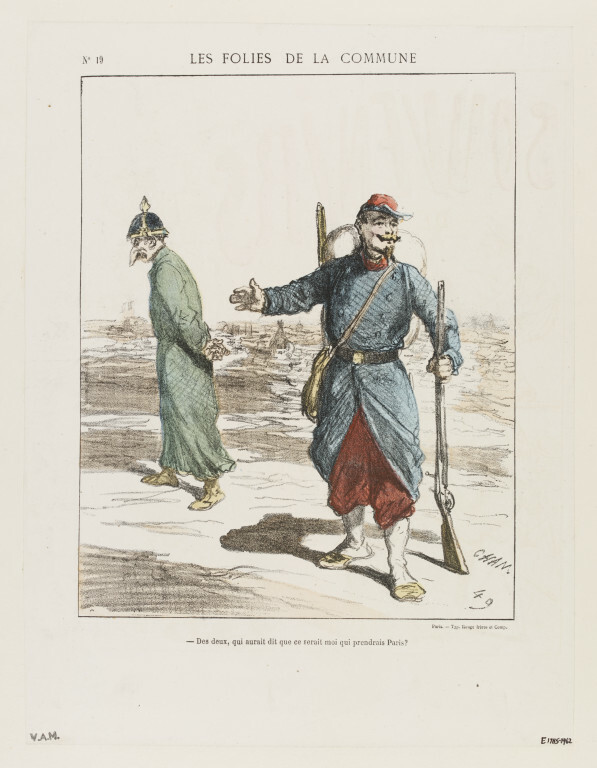 Print depicting a French and a Prussian soldier. Print from a set of caricatures, broadsheets and illustrations in ten volumes. Each volume is half-bound in red leather, gold tooled and stamped with imperial emblems, title etc. 'Des deux, qui aurait dit que ce serait moi qui prendrais Paris?' 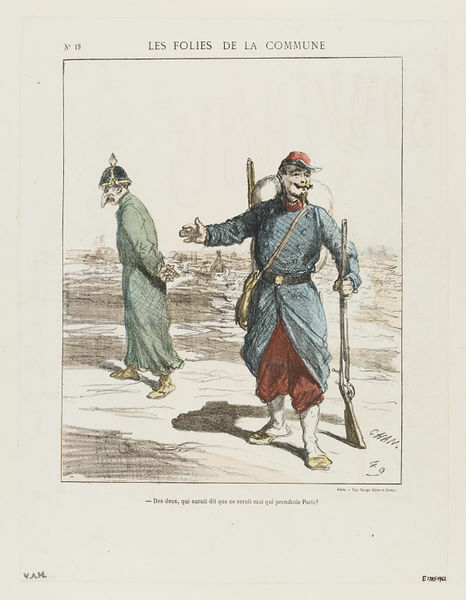 Satirical illustration by Amédée-Charles-Henry de Noé (Cham) depicting a French and a Prussian soldier. 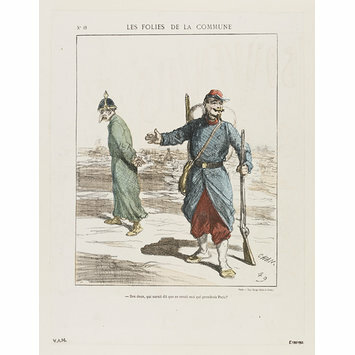 Hand-coloured lithograph, France, 1870-1871.